Peliton Bait Stations Instructions for use. The Peliton termite monitor may be used around structures currently infested with termites or as a preventative measure against termites. Following instructions outlined below, will create good installation and monitoring habits. Begin by performing a thorough interior and exterior inspection of the structure. 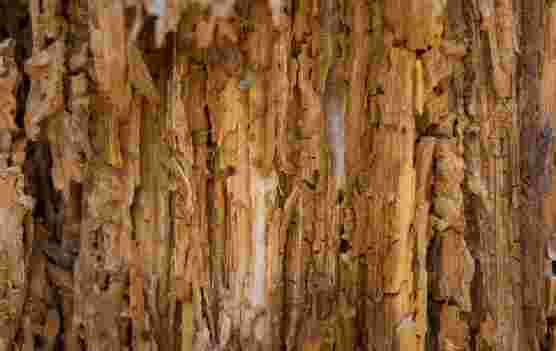 Look for the presence of live termites or evidence of termite damage. Draw a detailed diagram of the structure and surrounding property up to approximately 25 feet away from the structure. Document the location(s) of live termites, termite damage and/or conducive conditions that need to be addressed or monitored. Install approximately every 10 feet around the perimeter of the structure. Adjust the spacing where soil access is restricted. The maximum allowable distance between Monitoring Stations is 20 feet, unless prohibited by structural components (i.e. concrete driveways, etc.). Install approximately 18-24 inches away from the foundation of the structure or 1-2 inches from the roof drip line.Increasing Monitoring Station placements improve the probability of achieving termite hits. Do not install Monitoring Stations in soil that has been treated with liquid termiticides or other pesticides. Do not install a Monitoring Station in areas prone to soil erosion, or where water can accumulate, such as under downspouts, or in excessively wet areas. Using a 2-inch diameter drill bit, drill a10-inch deep hole. Insert a termite monitor tube through the locator disc and push the locator disc into the soil so that the outside top lip makes full contact with the soil. Adjust the depth of the hole if necessary. When installing in grassy areas, use a cup cutter (or similar tool) to remove the grass and insure good contact between the bottom of the locator disc and the soil. Each locator disc should be identified for tracking purposes. For optimum control of live termites in or on the structure, use a localized treatment with a liquid termiticide,such as Taurus SC Termiticide. Within three months of the initial treatment(or sooner if required by local laws), re-inspection of the structure should be performed to confirm that the infestation has been controlled. Structures With Active Infestations should be checked for the presence of termites within one month following installation. If a localized liquid termiticide treatment is used in the initial treatment, re-inspection of the Monitoring Stations may occur within 3 months. If there is no evidence of termite activity,begin inspecting the Monitoring Stations quarterly. (The wooden monitor may be removed from the Termite Bait Stations and inspected every three months to confirm or refute termite, fungal or other activity.) Replace the wood bait when fungus or moisture levels would deter termites from feeding. The Termite Bait Stations should be checked for the presence of termites within three months of installation. If there is no evidence of termite activity, continue to inspect the Bait Stations quarterly. If mud tubes or live termites are found,follow instructions in Structures With Active Infestations above. Look through the clear cap of the Bait Station for the presence of termites or termite mud. If there is no indication of termite activity, do not disturb the bait stations;continue to re-inspect every 1 to 3 months. Since subterranean termites are cold-blooded animals, their foraging and feeding activity is significantly reduced during periods of low temperature. When the temperature falls below a certain level, termites may stop feeding. During these periods of low temperature, inspection intervals for Peliton termite bait stations may be altered following the criteria described below. The temperature at which termite activity substantially declines may vary between different geographic areas and termite species. In general, when the average daily exterior air temperature is below 50 F, termite activity may be reduced to a point where inspections are not necessary. If bait stations are inspected and found to be inactive, and the daily average temperatures are below 50F, inspections of bait stations may be postponed until the average daily temperature exceeds 50 F for 7 consecutive days. Bait stations whose inspections had been postponed because of low temperature must be inspected within 30 days of the resumption of the inspections. Consult a weather database such as the National Weather Service at www.NWS.noaa.gov and use the mean monthly normal minimum daily temperature data for the closest reporting station to construct a written schedule for the inspection of stations during cold weather. Regardless of temperature, do not allow the termite monitor inspection interval to exceed 6 months. A thorough inspection of the interior and exterior of the structure should be performed at least annually. If live termites are discovered, they can be treated with a liquid termiticide, such as Taurus SC Termiticide to achieve control. Always read and carefully follow label directions. Pest control supplies, bait stations and termite detectors made in the USA by Peliton Plastics of Valdosta, Georgia.